Throckmorton Fine Art is pleased to present a photography exhibit of portraits of famous men and women. Portraiture has a lengthy, rich, and diverse history in art. In our era, portraits of the famous have a pleasant association: they are familiar and frequently serve as cultural and temporal markers. These portraits, though, can be enigmatic, showing recognized faces but only hinting at complex personalities and the quixotic flow of fortune and tragedy. More than 75 of the world’s leading photography art galleries will present a wide range of museum-quality work, including contemporary, modern and nineteenth-century photographs, as well as photo-based art, video, and new media, at the historic Park Avenue Armory in New York City’s Upper East Side. I do photography to find out who I am. To open my eyes every morning in a city other than Havana is a revelation that occurs to me again and again. I start each day aware that I live between different worlds, because my new city is so different from the Havana I love so much. Thursday, November 10th, 2011 6-8pm. Throckmorton Fine Art is pleased to offer an exhibit highlighting four decades of work by the accomplished photographer, Mario Algaze. The exhibit will present 35 images included in the handsome catalogue of his work published in 2010, Mario Algaze: Portfolio. Algaze has worked throughout Latin America and the Caribbean, including his native Cuba, and his photographs reveal his intimacy with the region and its peoples. Introductions by Carol Mc Cusker , chief curator at MoPA with a translation into Spanish by Enrique Fernandez. 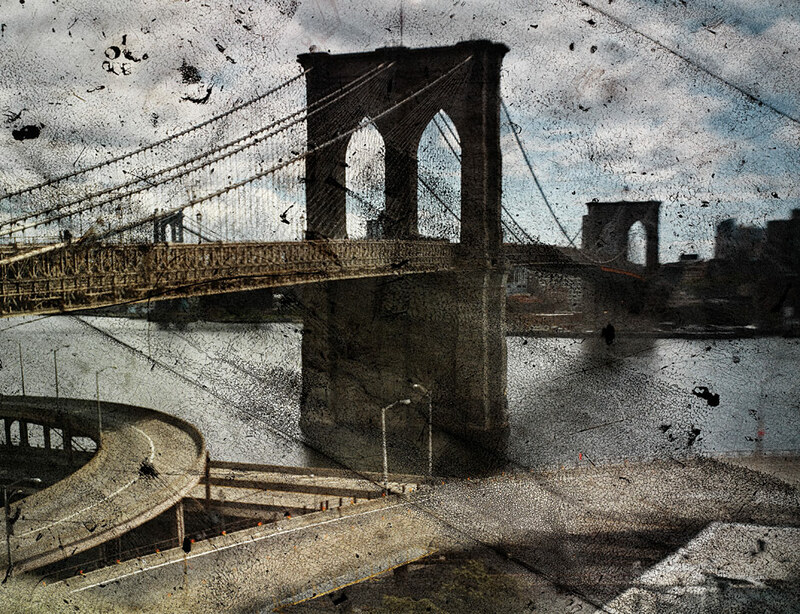 Abelardo Morell – Outside-in, upside-down — and now in color! Most of Abelardo Morell’s photographs are digital, but a lot of his gear is, conceptually, a millennium old. Morell is among the few contemporary masters of the camera obscura, the ancient method of projecting an image on a wall (deployed by Renaissance masters, like Leonardo da Vinci, and possibly used as a painting aid). All it is, really, is a room with a tiny hole in the wall or roof that acts as a lens. Previous Morell portraits include a Times Square hotel room enrobed in an image of Times Square itself. For his new hybrids—on view in twin shows opening this month, at Bryce Wolkowitz and Bonni Benrubi—Morell photographs vivid cityscapes projected onto unexpected surfaces, like the gravel rooftop seen at right. “It involves a huge amount of work to create something my daughter could make in Photoshop in two seconds,” he says.